choose a proper name for the String resource and click Ok. 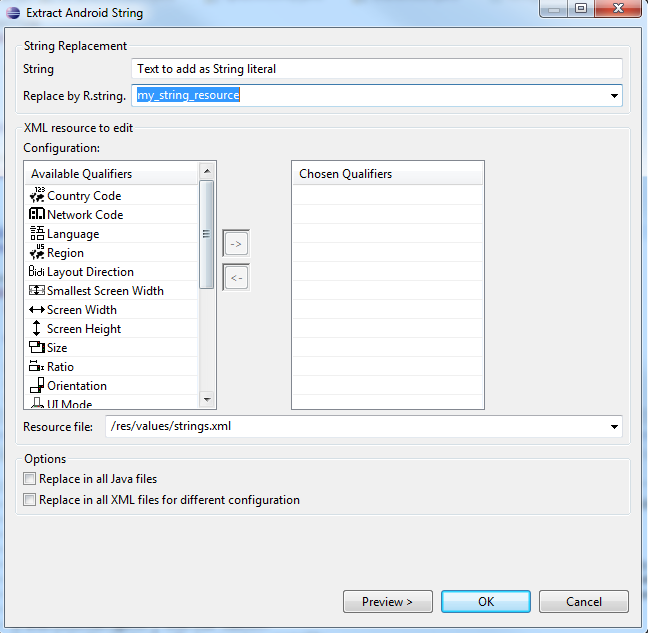 This entry was posted in Android SDK and tagged android, eclipse, extract, SDK, shortcut, strings, timesaver. Bookmark the permalink. Time-saver! creating Android string resources directly from code.